The Cleveland Browns find themselves atop the AFC North Division and in control of their playoff destiny heading into today’s game against Houston. The Browns have reached this point after a 1-2 start to the season by winning five of their past six games to take over the division lead. Included in the winning streak is the biggest road comeback in league history, and beatings of divisional rivals Pittsburgh and Cincinnati. 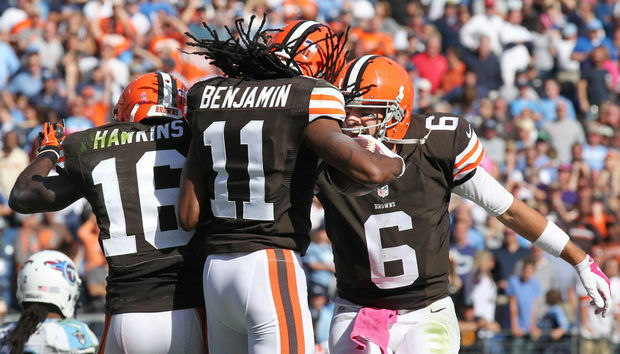 Over the next seven weeks we’ll find out if the Browns have finally turned the corner or if this season will go up in smoke like 2007 – the last time the Browns fielded a competitive squad. The journey won’t necessarily be easy of Cleveland has four of its final six games on the road, including the last two games of the regular season. Houston presents one big problem for the Browns in defensive end J.J. Watt, who is gaining serious MVP consideration and should present quite the afternoon for right tackle Mitchell Schwartz. Houston rookie defensive end Jadeveon Clowney is expected to return to the lineup after appearing in just one game since the season opener due to injuries. 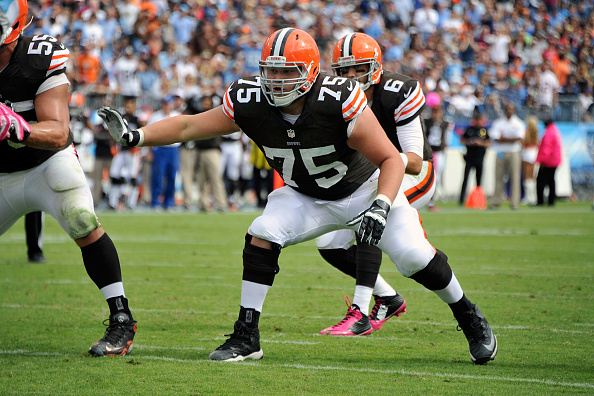 But does anyone really think that he will be a problem for Joe Thomas? The Browns are catching a break as Texans running back Arian Foster is out with an injury. Foster has rushed for 822 yards and seven touchdowns this season, so not having to face him can only help the Browns run defense. Foster’s absence also doesn’t do much to help the cause of Houston quarterback Ryan Mallett, who will be making his first start of the season. We all remember the Jacksonville game a few weeks ago, and this may be hubris talking in the wake of seeing the Browns in first place in the middle of November, but if Cleveland can’t find a way to beat the Texans this week with an unproven quarterback and Houston’s best offensive weapon out, then the Browns don’t deserve to be taken seriously. While we’re waiting for the game to start, let’s take a quick Thumbs Up/Thumbs Down look at how they’ve gotten to this point in the season. Through everything that has gone on so far this season, Brian Hoyer has been the steadying influence for the offense. Big second-half deficits against Pittsburgh and Tennessee? No worries, Hoyer was there. No Josh Gordon and an injured Jordan Cameron? No worries, Hoyer was there. Running game falls off the cliff after Alex Mack gets injured? No worries, Hoyer has the offense’s back. Hoyer has been the surprise of the NFL this season. He’s helped lead the Browns to a 4-1 record at home, engineered the comeback against the Titans, dealt with the media’s obsession with backup quarterback Johnny Manziel, heard people question his arm strength (that’s why it was nice to hear Pat Kirwan of Sirius NFL Radio point out this week that Hoyer threw a pass 61 yards in the air last week against the Bengals), and, outside of the Jacksonville game, done just about everything the Browns have asked of him. If the Browns are going to close the deal over the final two months of the season, they are going to need Hoyer to keep doing what he’s doing (although it wouldn’t hurt if he bumped up his road game a bit) and keep everyone on the offense working on the same page. With the way the season has played out so far for Hoyer, bet against him at your own risk. Hoyer will be an unrestricted free agent after this season, and while the contract issue isn’t actually a distraction, it is a big decision looming for general manager Ray Farmer. Hoyer entered the season willing to bet on himself in regards to a new contract, and so far things are working out in his favor. If he plays over the final seven games the way he has so far, he’s going to get paid, either in Cleveland or somewhere else. 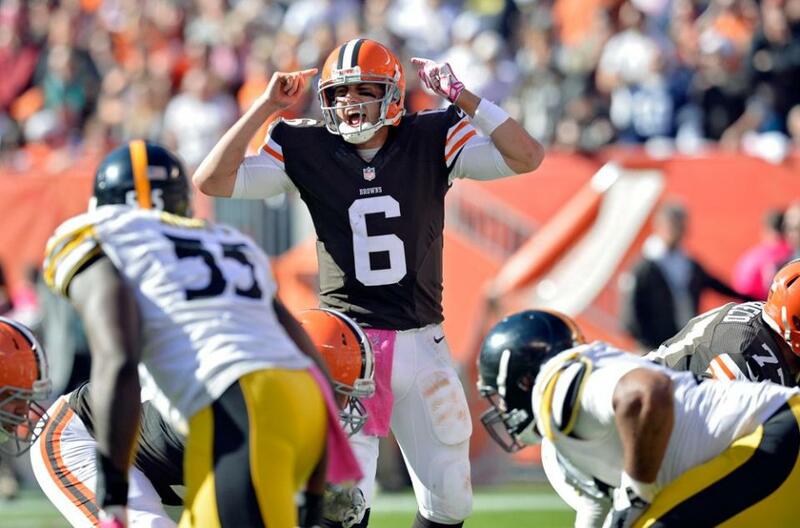 The big question the Browns have to answer is how much is a fair deal for Hoyer? We’ve heard far too many people compare Hoyer to former Browns quarterback Derek Anderson’s season in 2007, which earned Anderson a new contract, but that is flawed on multiple levels. First off, Anderson’s play had dropped off considerably as the season went along, with his average yards per pass, touchdowns and quarterback rating all declining, while his interceptions went up, during the second half of the season. And while Hoyer may not have Anderson’s “big arm,” he is clearly mentally stronger than Anderson when it comes to making decisions on the field. That alone should stop any comparisons to the two quarterbacks. As long as Hoyer can avoid a collapse over the next seven games, the Browns are going to have to think long and hard about what to do with the first truly competent quarterback the team has had since its return in 1999. The one certainty is that come next season, Hoyer will no longer be on this list. The Browns were the talk of the league through the first four games of the season with a rushing attack that was ranked fourth in the NFL. Then came the Pittsburgh game on Oct. 12 and a season-ending injury to center Alex Mack. Suddenly, the rushing attack that had been so effective turned into 2013’s baggy pants farce. Unlike last year, though, the Browns continued to make the running game a part of their offense, even when it seemed as if they were just running their heads into a wall. While the numbers still are a concern – the Browns have averaged just 2.4 yards per carry and haven’t had a rusher go over 100 yards in a game in the four full games since Mack’s injury – they haven’t given up on the run, which is keeping opposing defenses honest. The lack of production had to make it tempting for offensive coordinator Kyle Shanahan to start calling more passing plays – we know we’ve seen that movie before with the Browns – but he’s stayed committed and was rewarded in last week’s win against Cincinnati, as the Browns had three rushing touchdowns on a night that wasn’t conducive to the passing game. With the weather getting ready to turn nasty for the remainder of the season, the Browns need to stick with the commitment even more. 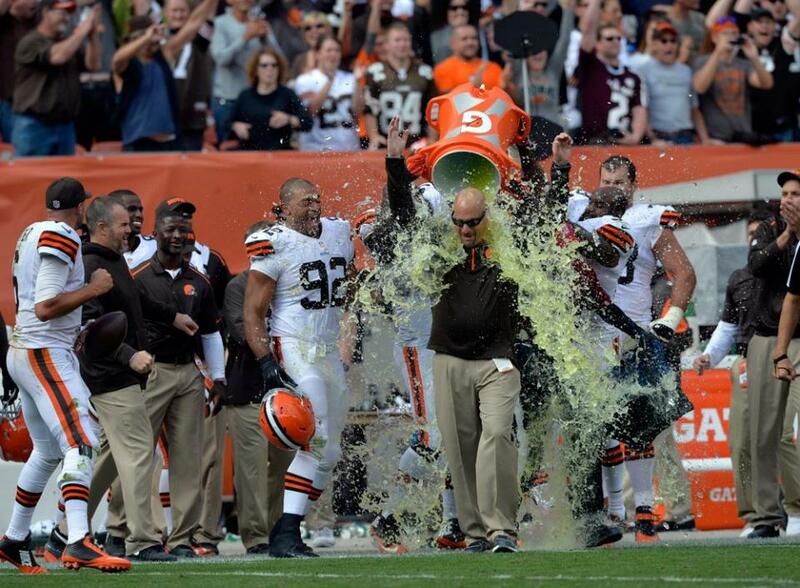 There’s no good way to put it – the Browns have been horrid against the run this season. Cleveland currently ranks 28th in the NFL in yards per game, allowing 134.2, and are tied for 30th in yards per carry, at 4.7. They have gotten better in recent weeks as they have limited Oakland and Cincinnati to under 100 rushing yards and Tampa Bay to just 113. Losing Phil Taylor to a season-ending injury doesn’t help, but after this week’s game against Houston, the Browns face three poor rushing teams in Atlanta (23rd), Buffalo (26th) and Carolina (27th); and two mediocre teams in Indianapolis (14th) and Cincinnati (12th). Given the level of competition, the Browns may be able to get through in at least respectable fashion the rest of the way. Not many people knew their names or expected much out of the Browns wide receivers heading into the season, but they have collectively been solid and productive. Andrew Hawkins leads the team in receptions and yards, Taylor Gabriel leads in yards per catch, and Travis Benjamin leads in touchdown receptions. 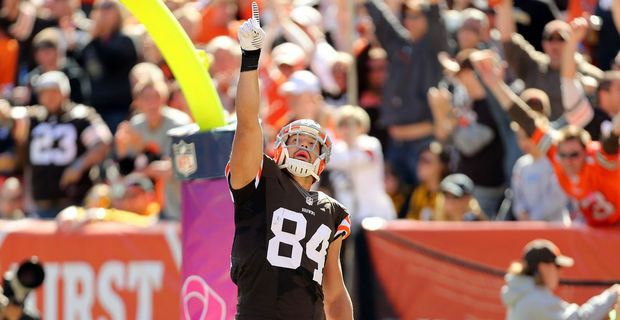 They, along with Miles Austin, have all come up with a catch when the Browns need it the most – 74 percent of their combined receptions have resulted in a first down. According to ESPN Stats & Information, the Browns lead the league with 13.7 yards per catch, have 36 pass plays of 20 yards or more (sixth in the NFL) and seven pass plays of 40 yards or more (seventh), and Hoyer’s completion percentage on passes that travel at least 15 yards is 55.4 – tops in the league. Gone are the days of Greg Little and Davone Bess short-circuiting drives with dropped passes. Because of injuries – first a shoulder strain and now a concussion that will force him to miss his third consecutive game – Cameron is not having a good follow-up to his Pro Bowl year of 2013. On the season, Cameron has just 13 receptions for 250 yards and a lone touchdown; in the two games that Cameron and Hoyer played together last year, they connected on 16 passes for 157 yards and four touchdowns. As he is still working through his latest concussion, the Browns are not sure if or when they will see Cameron back on the field this season. It’s not his fault, but having Cameron on the sidelines has still been a big hit to the offense. Last season Josh Gordon came back from a two-game suspension as the Browns were heading on the road against Minnesota, a team that plays its home games in a dome. Gordon responded with 10 receptions for 146 yards and a touchdown, while rushing one time for 22 yards. Gordon returns on Monday from his latest suspension and will make his first appearance of the season as the Browns travel to Atlanta to take on the Falcons – a team that plays its home games in a dome. Tashaun Gipson leads the NFL in interceptions, Donte Whitner has brought a level of leadership (along with Karlos Dansby) that the Browns have long needed, and Joe Haden is doing Joe Haden things, as he has only given up 15 catches for 127 yards and no touchdowns over the past four games. Skrine has been a paradox from week to week. One week he’s intercepting two passes against the Bengals; another week he’s being torched for nine catches and 136 yards and a touchdown. The problem has always been that Skrine is good covering the slot receiver as the third cornerback, but not so good when he has to cover a wide receiver on the outside. The Browns drafted Justin Gilbert to solve the problem, but Gilbert has been slow to get up to speed, leaving the Browns to ride the weekly Skrine rollercoaster. 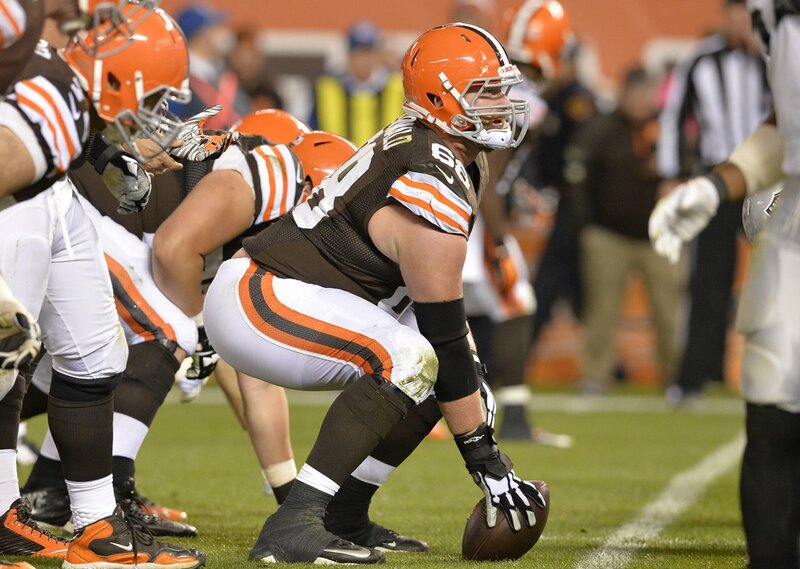 While Gilbert has struggled with his transition to the NFL, Joel Bitonio has fit right in with the rest of the offensive line. You rarely hear Bitonio’s name called during a game, a good thing for an offensive lineman, and while he certainly benefitted from playing between Joe Thomas and Alex Mack, we haven’t seen a drop off in his play since Mack’s injury. Browns general manager Ray Farmer made a lot of smart moves in his first off-season building the team; drafting Bitonio may turn out to be the smartest one of all. In the aftermath of Mack’s injury, Nick McDonald found himself thrust into a tough situation. Coming off an injury and having played just two games in his NFL career at center, McDonald had to get up to speed quickly once Mack went down. It was going to be difficult no matter what – Mack is one of the game’s best centers, after all – but McDonald has really struggled to get his game in order. The one bright spot is that he didn’t seem as overwhelmed against Cincinnati, so maybe it has just been a case of him working his way back into game shape. For everyone involved – no one more than Hoyer – we have to hope that is the case. 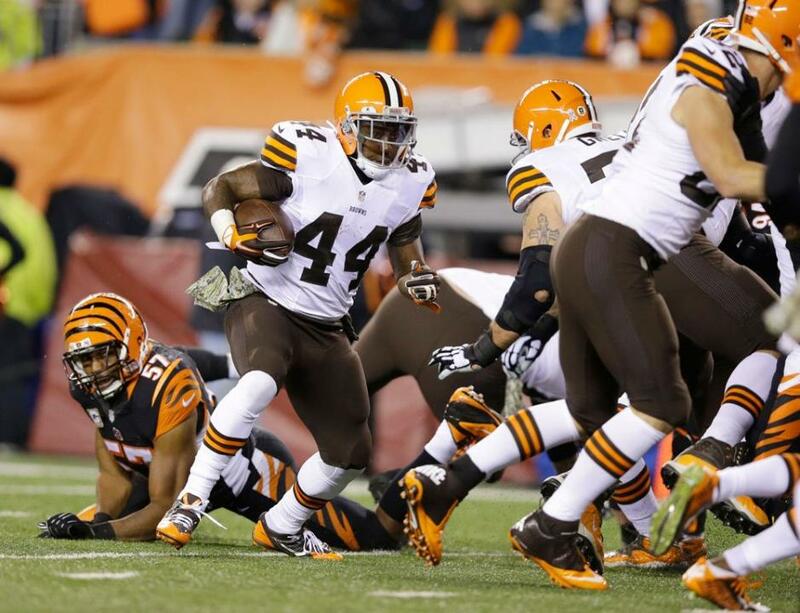 We have no idea what is going on with the Browns and their punt return team. Travis Benjamin all of a sudden can’t field a punt cleanly and while Jim Leonhard can fair catch just fine, when he tries to run with the ball it becomes a problem. It has gotten so bad that a nonsensical call has gone out for the Browns to resign Josh Cribbs, who hasn’t played since being released last season by the New York Jets. You’re not going to find a bigger fan of Cribbs than you will in this space, but after nine years in the NFL he simply doesn’t have anything left and there is little to no reason for the Browns to go down that road. There have been a few bumps along the way, but this is shaping up to be the most competent coaching staff the Browns have put together since returning to the NFL. Pettine is level headed and always has a reason for everything he is doing; Shanahan’s offensive system plays perfectly to Hoyer’s strengths; and Jim O’Neil’s defense is starting to come around and, more times than not, has stepped up when the Browns need it the most. We don’t care that the Browns won while wearing them against Cincinnati. 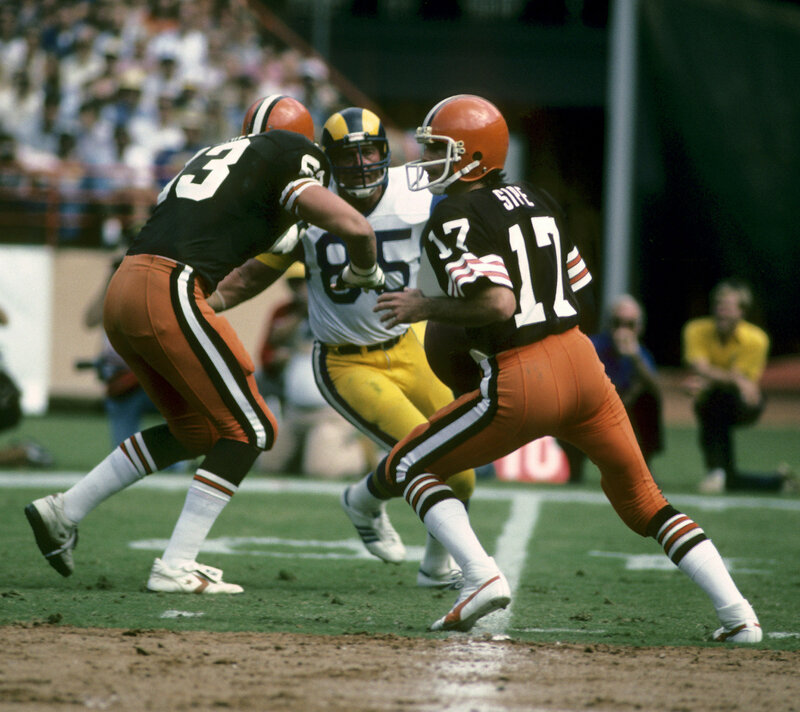 The Browns have one of the best and most iconic uniforms in the NFL – why do you need to mess them up with brown pants? If you want to mix it up a bit from the white pants, bring back the orange ones. Now that’s a winning look. Buckle up Browns fans; it’s going to be a run ride.